Taxicabs have long been a regular transportation choice for getting from point A to point B as quickly as possible. Now that almost everyone owns a smartphones, a whole bunch of new mobile app-based car ride services have been moving on in—changing the way people summon, share and pay for car rides. Despite becoming such a popular alternative to using regular taxi companies, app-based rideshare and private driver services have been causing quite a bit of commotion among customers and the cities they operate in due to a variety of issues including lack of regulation, surge pricing, serious problems with the drivers, improper vehicle inspection, inadequate insurance coverage and the list goes on. Still, a ton of people absolutely swear by some of the big favorites out there like Uber and Lyft, and the trend will undoubtedly continue. Take a look at the following list to find out more about these services and see which ones are available in your area. Uber is the big shot of the app-based rideshare and private driver world. It operates in 80 countries across the globe, allowing anyone who has the app to be picked up by a private driver, pay for it and even split up payment between multiple people. Anyone can sign up to become an Uber driver and upon approval, use their own cars to pick up people for rides. Uber also has several spinoff services including Uber Eats, Uber for Business, Uber Freight and Uber Health. 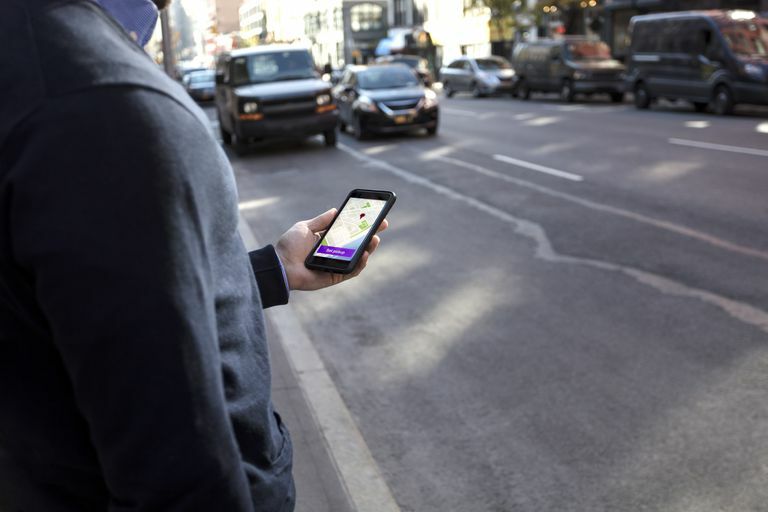 Uber competitor Lyft is the other big rideshare service that lets you call a car ride from your smartphone or sign up to become a driver as a nice little side gig. Unlike Uber's worldwide presence, Lyft only operates in some of the largest U.S. cities. The cost between using Uber and Lyft is comparably similar, although each offers their own variety of premium options, types of ride credits and in-app features. Neither one is really better than the other, but trying both Uber and Lyft out if you have the chance would be the best way to decide for yourself. Juno is a black car service that began operating in a few big international cities before 2014, which now appears to only operate mainly within New York City and other areas within the U.S. after acquiring Gett. This particular rideshare service is all about the experience, claiming to have the highest quality drivers in NYC. Download the app, set your pick-up and your luxury car will be on its way. You can get 30% off all rides in NYC for a limited time when you sign up. All payments are made through the app, and you can finalize your tip at the end of your ride. Flywheel is a taxi-hailing app that makes getting a ride as easy as possible. Its payment system is built to take payments from a variety of different payment methods and the app itself offers an intuitive interface that's both easy and enjoyable to use. Like many of the others on this list, you can apply to become a driver with Flywheel and get paid quickly for your driving services. Flywheel is currently only available in a select few major U.S. cities including San Francisco, Seattle, Portland and San Diego.